Published in: Case Studies, News, Plug & Sense! On 5th March started one of the hardest and at the same time craziest amateur rallies in the world: the Panda Raid. It is a seven-days-race through the Moroccan desert. The only essential requirement is to drive an old Fiat Panda (Seat Marbella in Spain). What makes this rally different and tough is its rules. GPS and Internet are not allowed during the race. Participants only can use a compass and a roadbook to navigate and avoid getting lost. Of course the intuition and expertise of the drivers play an important role. 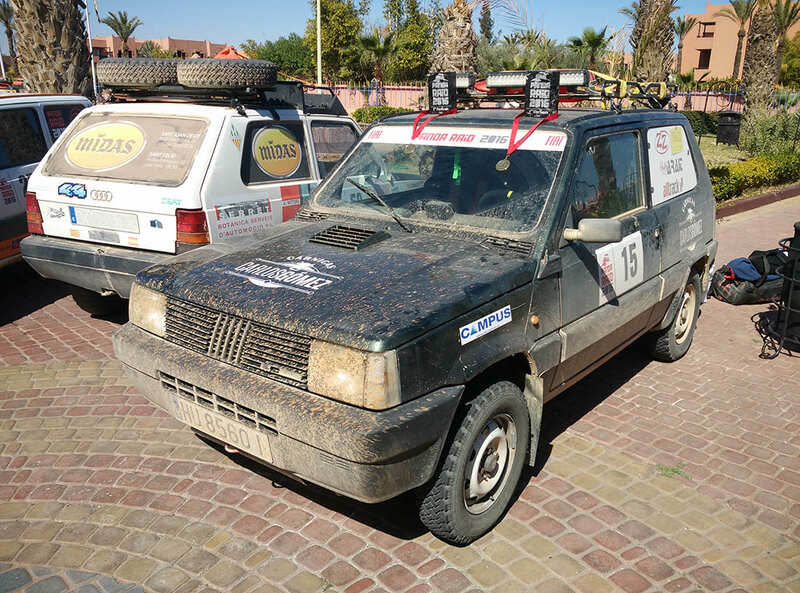 In this edition, one member of Libelium Team took part with his 25 years old Fiat Panda. This vehicle was different to any other, because it was equipped with a Plug & Sense! Sensor Platform. This node was used to measure temperature, humidity, ultraviolet radiation and GPS position every 10-15 minutes. Sensirion to measure temperature and humidity. Ultraviolet Sensor, to measure UV solar radiation. To ensure the correct functioning during the race the Waspmote Plug & Sense! was equipped with a Rechargeable Battery with a solar panel. This project has a double aim. Firstly, the objective was to demonstrate that a Waspmote Plug & Sense! 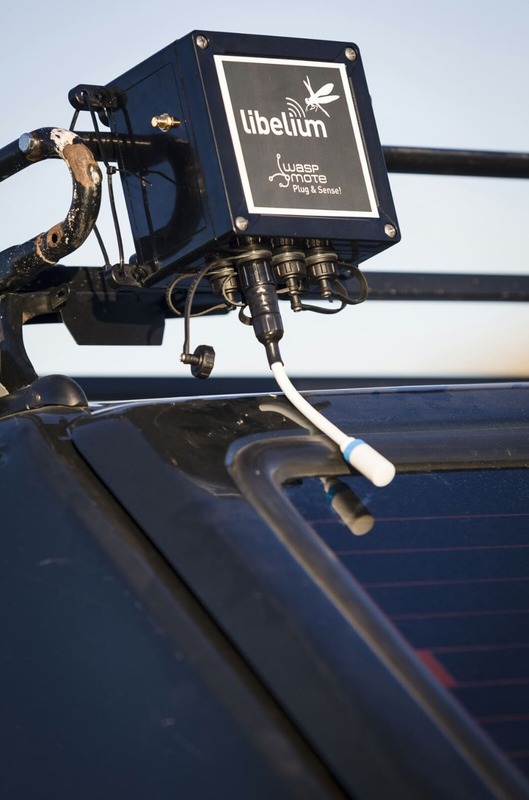 Sensor Platform was able to monitor the environmental changes (temperature, humidity, UV radiation) and the car position during the different stages of the rally. It was made perfectly, what prove that a Waspmote Plug & Sense! Sensor Platform could be used as a log book for trips and expeditions. 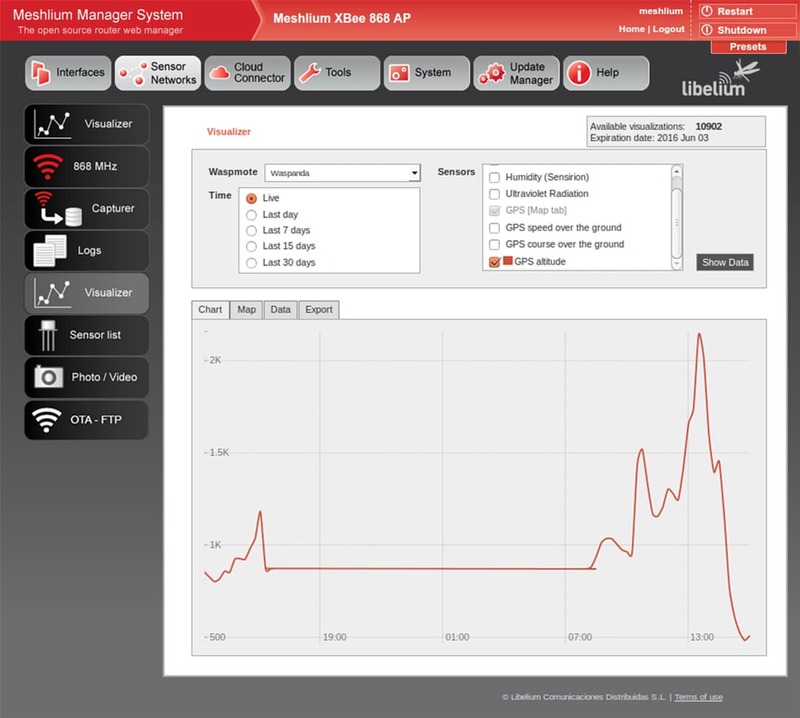 This is an example of the Meshlium Manager System visualizer. In it, all data collected can be managed and checked. In this case, it shows a chart about the GPS altitude variation during 24 hours. It can be seen a flat segment which reflect the period of time between two legs in which the Waspmote Plug & Sense! Sensor Platform was switched off. The secondary aim was to prove its resistance and strength, which were absolutely verified. The Waspmote Plug & Sense! Sensor Platform has an IP67 certification which is given to electronic devices as our nodes and which ensures its resistance to sand, mud and water. During this hard rally there were several environmental and geographic changes. 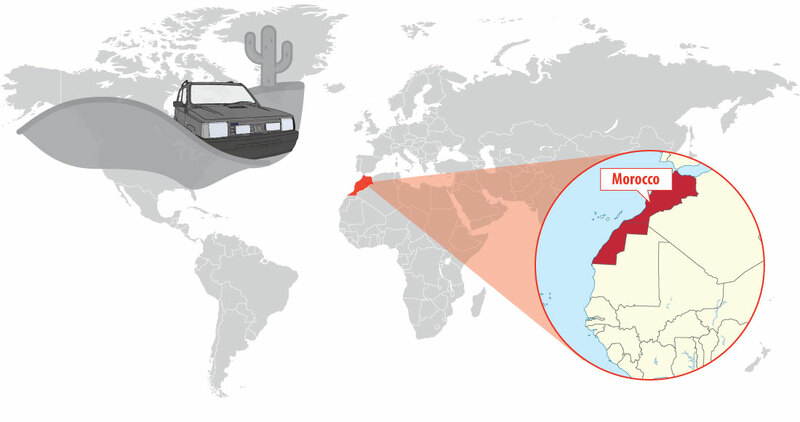 It passed from the Sahara dessert to the Atlas mountain chain. So variation of altitude, pressure, humidity, temperature, UV radiation, etc. were important. Besides, the terrain also changed hugely form the desert sand to the mountain rocks. In this case, the Waspmote Plug & Sense! Sensor Platform resisted without problem grab to the Fiat Panda roof rack. When the pilot return to Libelium checked that all data was collected properly and there were not any rest of materials, as sand or water, which could damage the sensors. Therefore, the resistance given by the IP67 certification was proved and ensured. Finally, besides its technological and experimental main objective, this race has another caring and kind goal: to help Moroccan children with school supplies. Every pilot has to carry in his Fiat Panda 20 kg of school supplies in order to give them to any school they find along the path. Libelium Waspmote Plug & Sense! 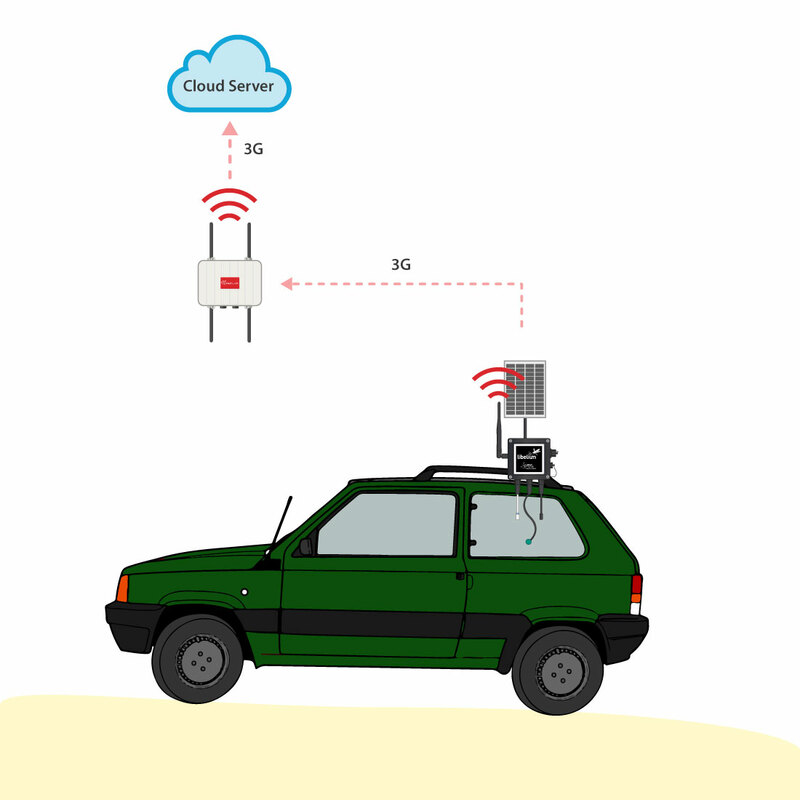 Sensor Platform were proved in extreme conditions and it returned intact, achieving its objectives of environmental monitoring and checking its resistance. Besides, we are proud of our workmate because he finished the race in first position. It was a perfect week.